Situated in Hawthorn East, this apartment building is 0.3 mi (0.5 km) from Toorak Road and within 3 mi (5 km) of High Street Armadale and Swinburne University of Technology. Caulfield Racecourse and Chapel Street are also within 3 mi (5 km). Tooronga Station is 11 minutes by foot and Kooyong Station is 17 minutes. 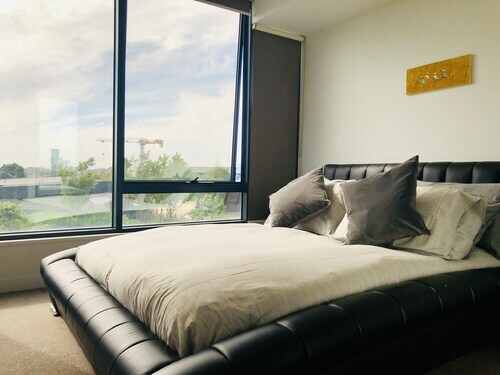 Situated in the business district, this apartment building is 0.9 mi (1.4 km) from Swinburne University of Technology and within 3 mi (5 km) of Toorak Road and Bridge Road. Church Street is 3 mi (4.8 km) away. Camberwell Station is 11 minutes by foot and Auburn Station is 12 minutes. Situated in Hawthorn East, this apartment building is 0.4 mi (0.7 km) from Toorak Road and within 3 mi (5 km) of High Street Armadale and Swinburne University of Technology. Caulfield Racecourse and Chapel Street are also within 3 mi (5 km). Tooronga Station is 10 minutes by foot and Kooyong Station is 18 minutes. Situated in Hawthorn East, this vacation home is 0.9 mi (1.5 km) from Swinburne University of Technology and within 3 mi (5 km) of Toorak Road and Bridge Road. High Street Armadale and Church Street are also within 3 mi (5 km). Auburn Station is 12 minutes by foot and Camberwell Station is 19 minutes. During your time holidaying in the state of Victoria, don't forget to visit its capital, Melbourne. Situated 8 kilometres east of the centre of the city, you will come across the neighbourhood of Hawthorn East. The Crown Casino and Entertainment Complex, Federation Square and St. Kilda Beach are just a few of the impressive major attractions Melbourne has to offer. For a number of years now, Swinburne University of Technology has provided an education to many great minds. Pay this great campus a visit and experience what it's like these days. If you'd like to rest your head nearby, check the rates at the Quest Kew and Hotel 115 Kew, BW Premier Collection. Browse some of the goodies that Oscar & Wild has available. You may happen upon a fantastic gift for a loved one, or even yourself. 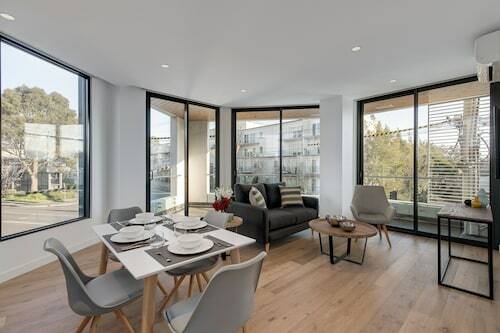 The Apartments @ Kew - Q45 and Quest Hawthorn are your leading options for this attraction. There's no better way to kick off your day of adventures than at one of the excellent cafes of Hawthorn East. A caffeine fix at Deco Restaurant ought to do nicely. When your thoughts start turning to dinner, check out what's on offer at Glenferrie Hotel. The main courses may be delicious, but don't forget leave room for dessert! Demand for hotel rooms in Hawthorn East occasionally exceeds supply. But don't get your knickers in a knot! You'll discover a number of good places in nearby neighbourhoods in the Hawthorn hotels guide and the Wotif Kew hotels guide. In Hawthorn, have a gander at the latest deals and packages at the Glenferrie Hotel and Lisson Holiday Rental. If those options don't suit, the Park Avenue - Kew and Pathfinder Motel in Kew are also worth checking out. Hawthorn East features some fabulous accommodations. When you're ready to discover Melbourne, Wotif can take you there, on time, on budget and in style! How Much is a Hotel Room in Hawthorn East? 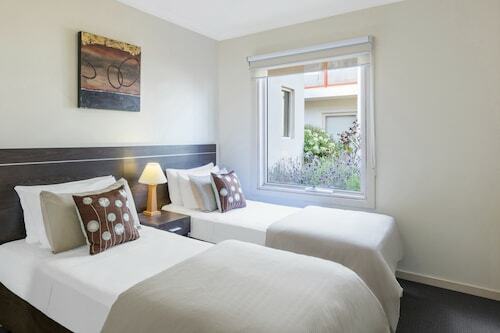 Hotels in Hawthorn East start at AU$143 per night. Prices and availability subject to change. Additional terms may apply.